Dr. Nancy Stewart graduated from the Emory University School of Dentistry in Atlanta, Georgia in 1987 after acquiring a B.S. in Chemistry at the University of West Florida in Pensacola, Florida. 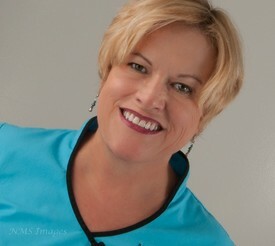 She started her own dental practice in 1991. Dr. Stewart is a member of the American Dental Association, the Georgia Dental Association, the American Academy of Cosmetic Dentistry, the Georgia Academy of Cosmetic Dentistry, the Atlanta- Seattle Study Club Center for Advanced Dental Study, and continues to be involved in many Continuing Education programs. On a personal note, Dr. Nancy is an avid scuba diver and amateur underwater photographer. She also enjoys snow skiing, hiking, backpacking and summitted Mt. Kilimanjaro in 2005. Dr. Stewart lives in Decatur and loves all that Decatur and in-town Atlanta offers.